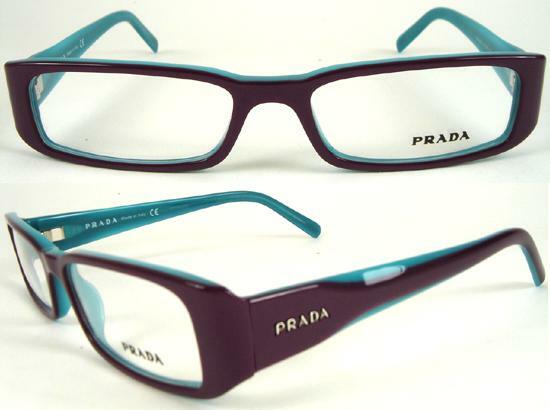 pretty little Pradas: here's a new one... eyeglasses! i'm actually kinda excited about my opthamologist appointment tomorrow. i gotta re-order new contacts, but most importantly, i get to get a prescription written for new eyeglasses! i broke mine right before i went to cape cod, they basically broke right before the hinge... maybe the plastic got too melted? who knows? all i know is now i can replace my cheapo no-name eyeglasses with prada... or chanel... or dior... or d&g! having broken glasses is no fun. i went to the cape, 4th of july weekend, visited tay, only to find that there is something in or around her house that i am extremely allergic to. i couldnt stop sneezing and rubbing my eyes. sunday morning, i woke up to find that one of my contacts had a missing chunk in it (from me rubbing my eye too hard) so i had to navigate the whole day with only one good eye. i think i may have royally screwed up my vision... even further. I found a website which is an Optical Lab that probably has the lowest priced sunglasses, glasses and eyeglasses at http://www.SimplyEyeglasses.com. They provide sun glasses, safety eyeglasses, eyewear, eye glasses with prescriptions lens. They have the biggest selection of prescription sunglasses, prescription glasses, prescription eyeglasses, and prescription safety glasses. When I bought my pair of glasses and had a question about them they responded to my email right away. I highly recommend them to anyone. They have incredible prices on designer eyewear for the following: Prada Eyeglasses, Prada Glasses, Prada Sunglasses, and all Prada Eyewear. They have Gucci Eyeglasses, Gucci Glasses, Gucci Sunglasses, and all Gucci Eyewear. They have D&G Eyeglasses, D&G Glasses, D&G Sunglasses. They have Dolce Gabbana Eyeglasses, Dolce Gabbana Glasses. They have Rayban Eyeglasses, Rayban Glasses, Rayban Sunglasses, and all Rayban Eyewear. They have Ray-Ban Eyeglasses, Ray-Ban Glasses, Ray-Ban Sunglasses, and all Ray-Ban Eyewear. They have Ray Ban Eyeglasses, Ray Ban Glasses, Ray Ban Sunglasses.